Antonia Lopez Mendez spent three of her 11 years in forced displacement. Her life was consumed in exile. To the poor health, nutrition and education which she experienced away from her community were added the stress of seeing her family threatened and expelled. On Saturday the blood vessels in her brain collapsed. When she died, with severe headaches, the public hospital where she was admitted diagnosed “cerebral oedema”. Only once she was dead was Antonia López Méndez able to return to her place of origin; the authorities of Banavil, Tenejapa, they could not deny her that right. On Monday, her body was buried along with her two sisters. Then her family returned into exile. Antonia’s last three years were similar to those lived through by more than 2000 children in the northern zone and highlands of Chiapas, who as a result of violence have been displaced from their communities. The situation of violence and displacement against children is a situation which has been very little known, said the Fray Bartolomé de Las Casas Human Rights Centre (Frayba), which today declared the impunity and indifference of the government authorities of Chiapas. 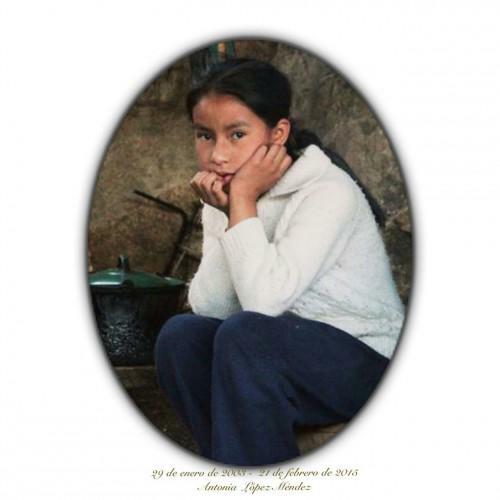 “This Centre has sent formal communications addressed to the governor and government secretary of Chiapas demanding that they take the necessary measures to ensure the funeral ceremony of the young indigenous Tzeltal Antonia Lopez Mendez”. Accompanied only by a patrol and police convoy, Antonia and her family were able to enter Banavil. They were met with closed houses, cold and fog. Nobody from the community wanted to accompany them. Antonia López Méndez was one of 13 people (4 families) who were forcibly displaced from the community of Banavil, Municipality of Tenejapa, on 4th December, 2011. During her last three days of life, she started having pains in the neck and leg, accompanied by loss of speech which led to her being admitted to hospital. When she died, her relatives decided to take her to Banavil, “the place from which they were forcibly displaced by a group of members of the Institutional Revolutionary Party (PRI), who, to date, have enjoyed total impunity, as the existing arrest warrants against the aggressors are not being executed,” said Frayba. 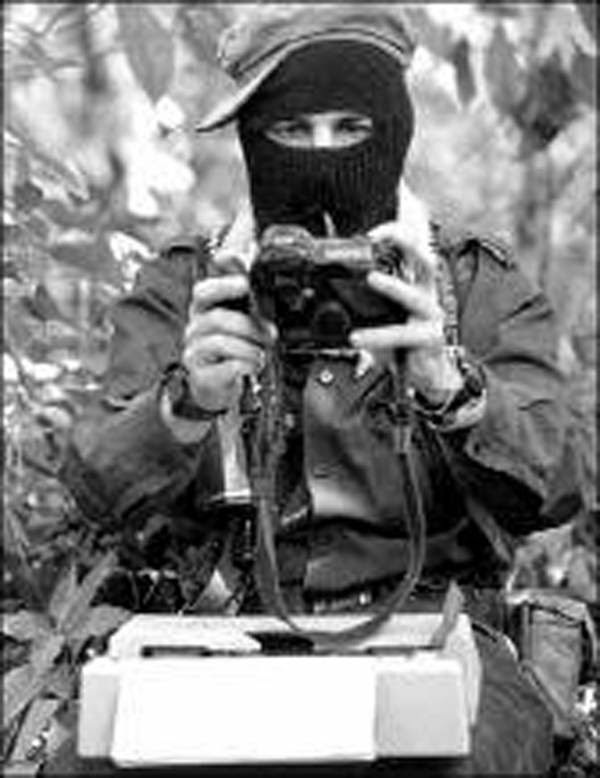 “For more than three years we have been demanding justice, return and truth for the displaced families of Banavil, Tenejapa; the impunity and indifference of the authorities of the government of Chiapas only confirms their complicity in protecting groups who are among the perpetrators of serious violence in the Tseltal region of the Altos de Chiapas. We also believe that the appalling or non-existent conditions of healthcare, food and education, have as a consequence resulted in unfortunate incidents like the death of the child Antonia Lopez Mendez. The State Government has failed in its duty to guarantee these rights,” denounced the Fray Bartolomé Centre. After burying Antonia, the displaced returned to their exile.